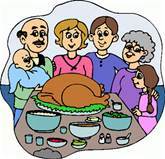 Every year this week those of us in the USA take time out to give thanks for all that we have. We do this by taking time off of work, gathering with our families, eating turkey (and a lot of other stuff), and watching football. It is one of my favorite holidays as it offers most of the joys of Christmas without many of the trappings. We can talk about DB2 and databases again in December! Just a short blog post today to promote my upcoming speaking engagement at the Midwest DB2 User Group, in Chicago. If you are in or around the Chicagoland area on December 4th, 2015 I invite you to stop by and participate in the meeting! The meeting starts at Noon and a free lunch is provided. I will be giving one of the 3 presentations that day. My presentation is titled Database and DB2 Trends circa 2015 - An overview of an industry in transition.... This is an ever-changing presentation that I have delivered on several occasions in the past, but not in exactly the same way. This pitch provides an overview of the transformation of data management over the course of the past few years. I discuss Big Data, analytics, NoSQL, and their impact on the modern data architecture and DB2 for z/OS in particular. But that is not the only highlight of this event. Sheryl M. Larsen, now with BMC Software, will regale the group with the results of BMC's Annual Mainframe Research Survey. BMC started their mainframe survey ten years ago as a way to gain insight into the issues and challenges facing mainframe customers. And it always contains a lot of useful information and details for those of us in the business of mainframe computing. The third speaker is Tim Lenahan, who I've been told will be presenting something a little bit different this time around. And having heard Tim speak in the past, I'm looking forward to what he has to say now! So if you are going to be near Chicago in early December, register and attend the MWDUG meeting. I'm sure it will be worth your time! All performance problems are caused by change. Now as regular readers know, normally I avoid all-encompassing terms like all, always, none and never, but in this case, all is the appropriate term. If your DB2 environment is humming along and things are performing well, then the only thing that will disrupt that is a change of some form. Physical changes to the environment, such as a new CPU, additional memory, new disk, or different storage technology (e.g. SSD). Changes to system software, such as a new release of a product (for example, QMF, CICS, or GDDM), the alteration of a product (for example, the addition of more or fewer CICS regions or an IMS SYSGEN), or a new product (for example, implementation of DFHSM). And let's not forget the installation of a new release or version of DB2, which can result in changes in access paths and the utilization of features new to DB2. An updated or new version of the operating system can also cause DB2 performance problems. Changes to the DB2 engine from maintenance releases, which can change the DB2 optimizer and other facets of DB2's operation. Changes in system capacity. More or fewer jobs could be executing concurrently when the performance problem occurs. Environment changes, such as the implementation of dynamic SQL, web-based programs or the adoption of Data Sharing. Database changes. This involves changes to any DB2 object, and ranges from adding a new column or an index, to changing table space types, to dropping and re-creating an object. So regardless of how it may seem at times, performance problems are not caused by magic. Something tangible changes, creating a performance problem in the application, database, or subsystem. The challenge of tuning is to find the source of the change -- the root cause if you will, gauge its impact, and formulate a solution. Although the majority of your problems will be application-oriented, you will frequently need to explore the tuning opportunities outside of SQL and programming changes when application tuning has little effect. Change WLM parameters to enhance throughput for DB2, its allied agent, and/or programs. Add zIIPs and tune SQL/program to take advantage of zIIP processors. Use an active performance monitor (enables tuning on the fly). Change the system generation parameters. Tune the program definition (PSBs and PPT entries). Modify the Attachment Facility parameters. Modify DSNZPARMs, for example to increase log buffers, increase or decrease the number of concurrent users, change lock escalation, and so on. Issue DISPLAY and ALTER BUFFERPOOL commands to review buffer pool usage characteristics, change buffer pool sizes, and increase or decrease buffer pool thresholds. Tune the DB2 Catalog, including dropping and freeing objects, executing MODIFY, reorganizing DB2 catalog table spaces and indexes, recovering the DB2 catalog indexes, building additional indexes on the DB2 catalog, tuning disk usage, and implementing data set shadowing. Modify the logical and physical model. Ensure that proper parameters are specified. Partition data into universal PBG table spaces. Spread non-partitioned objects over multiple devices using PIECESIZE. Consider or reconsider data compression. Tune the high-level language (such as COBOL or 4GL). Use a program restructuring tool. Execute EXPLAIN, modify your code, and REBIND. Examine the REOPT clause and whether it can help your specific code. Consider using SQL tweaks and/or hints. Use the OPTIMIZE FOR n ROWS clause. Change the DB2 catalog statistics and REBIND. Use a testing tool to provide what if testing and tuning. Use a tool to sample the application's address space as it executes. types of tuning options available to you. 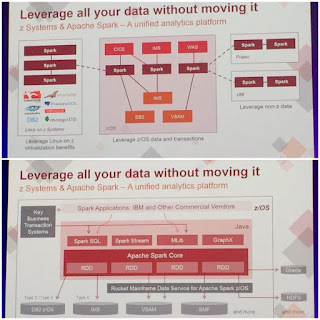 Last week I attended the IBM Insight conference and blogged about the first few days of the conference here at http://db2portal.blogspot.com/2015/10/an-update-from-ibm-insight-2015.html… and I promised to blog about the remainder of the conference, so here is a synopsis of the highlights. 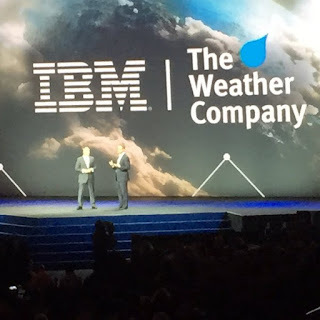 On Wednesday, the focus of the general session was on IBM’s acquisition of The Weather Company’s technology. The deal calls for IBM to acquire The Weather Company’s B2B, mobile and cloud-based web properties, including WSI, weather.com, Weather Underground and The Weather Company brand. IBM will not be acquiring The Weather Channel television station, which will license weather forecast data and analytics from IBM under a long-term contract. IBM intends to utilize its newly acquired weather data in its Watson platform. You can read all about the acquisition in this IBM press release. I spent some of my time at Insight this year learning more about dashDB and it is a very interesting technology. Marketed as data warehousing in the cloud, IBM touts four use cases for dashDB: standalone cloud data warehouse, as a store for data scientists, for those implementing a hybrid data warehouse, and for NoSQL analysis and rapid prototyping. IBM promotes simplicity, performance, analytics on both traditional and NoSQL, and polyglot language support as the most important highlights of dashDB. And because it has DB2 BLU under the covers IBM dashDB not only super-compresses data, but it can operate on that data without necessarily decompressing it. Additionally, a big theme of the conference was in-memory technology, and dashDB sports CPU cache capabilities. In fact, I heard several folks at the conference say some variation of “RAM is too slow”… meaning that CPU cache is faster and IBM is moving in that direction. The bottom line for dashDB is that it offers built-in high availability and workload management capabilities, along with being in-memory optimized and scalable. Worth a look for folks needing a powerful data warehousing platform. For you DB2 for z/OS folks, IDAA was a big theme of this year’s Insight conference. The latest version, V5.1, adds advanced analytics capabilities and in database transformation, making your mainframe queries that can take advantage of the accelerator faster than ever. 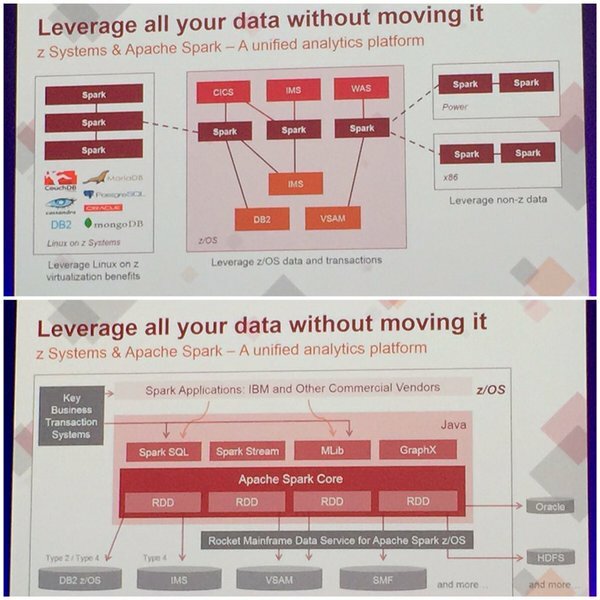 Apache Spark was another pervasive topic this year. It was talked about in multiple sessions and I even had the opportunity to play with it in a hands-on lab. The big news for z folks is that IBM is bringing out a version of Spark for the mainframe that will run on z/OS – it is already supported on zLinux. Of course, I attended a whole slew of DB2 sessions including SQL coding, performance and administration presentations. Some of the highlights include DB2 11 for LUW being announced, several discussions about dark data, and a lot of information about IBM's Big SQL and how it can be used to rapidly and efficiently access Hadoop (and other unstructured) data using SQL. I also had the honor of delivering a presentation at this year's conference on the changes and trends going on in the world of DB2 for z/OS. Thanks to the 70 or so people who attended my session - I hope you all enjoyed it and learned something, too! 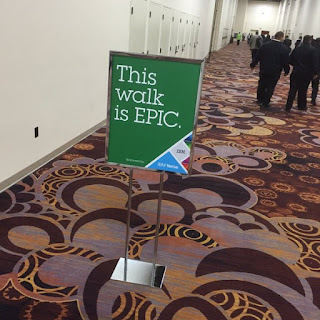 As usual, and well-you-know if you've ever attended this conference before, there was also a LOT of walking to be done. From the hotel to the conference center to the expo hall to lunch to the conference center. But at least there were some signs making light of the situation this year! There was a lot of fun to be had at the conference, too. The vendor exhibition hall was stocked with many vendors, big and small, and it seems like they all had candy. I guess that’s what you get when the conference is so close to Halloween! The annual Z party at the House of Blues (for which you need a Z pin to get in – this year’s pin was orange) was a blast and the Maroon 5 concert courtesy of Rocket Software was a lot of fun, too. If you are looking for a week of database, big data, and analytics knowledge transfer, the opportunity to chat and connect with your peers, as well as some night-time entertainment, be sure to plan to attend next year’s IBM Insight conference (October 23 thru 27, 2016 at the Mandalay Bay in Las Vegas).